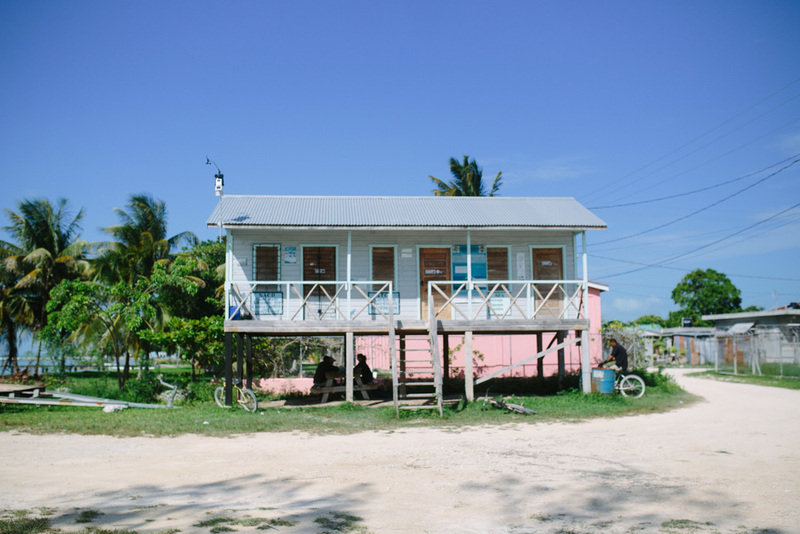 After our somewhat disastrous first night camping in Belize, we were really hoping for a better second one. Fryjacks were a good start. After asking around about a good place for breakfast in Corozal, we were told we should try Joe Malins. When the guy that recommended the place saw us again ten minutes later, obviously lost, he offered to lead us there on his bike. It was one of the best breakfasts I had had in a long while and the fryjacks were possibly the best part. They're a kind of fried dough not dissimilar to a funnel cake you'd get at the fair, except they're not coated in powdered sugar. They serve them on the side of your bacon and eggs instead of toast, and they are delicious. 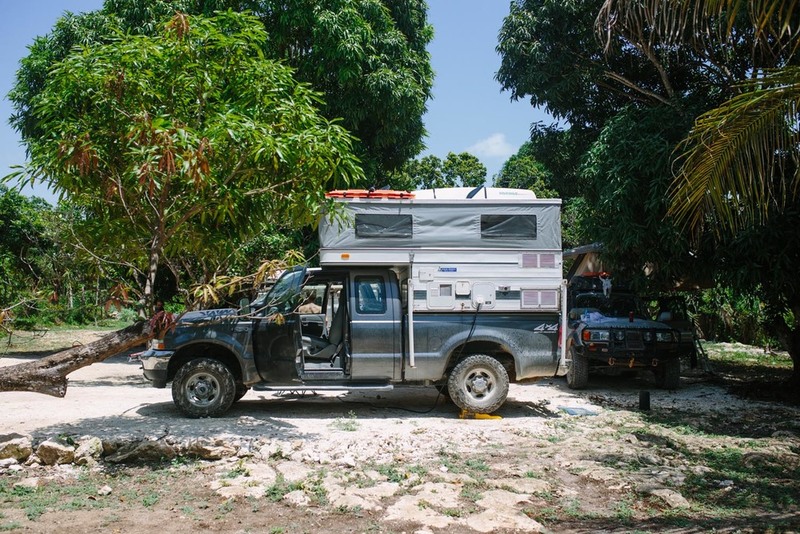 Leaving town, we had our first real driving day in Belize (Corozal being just about 10 miles from the border). The first thing I noticed was how unpopulated the country is. And even in the more populated areas it just didn't have the same hectic you-might-get-in-a-wreck-any-second kind of feeling that you have every time you get on the road in Mexico. The second thing I noticed was how few speed bumps there are here. It felt like a dream after being in “The Land of Topes” for the last seven months. But the best part of the drive had to be the two hand-cranked ferries we got to ride on. The ferrymen even let us try it out for ourselves. 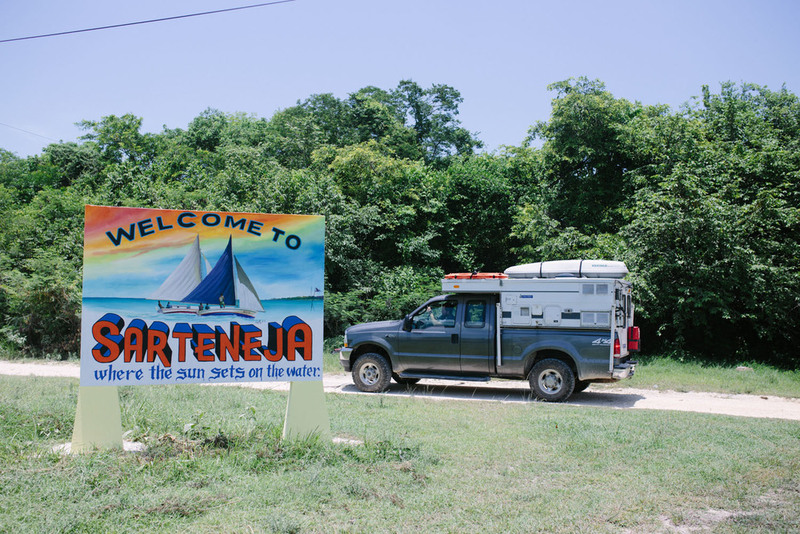 Our second camp spot was the small coastal town of Sartaneja. 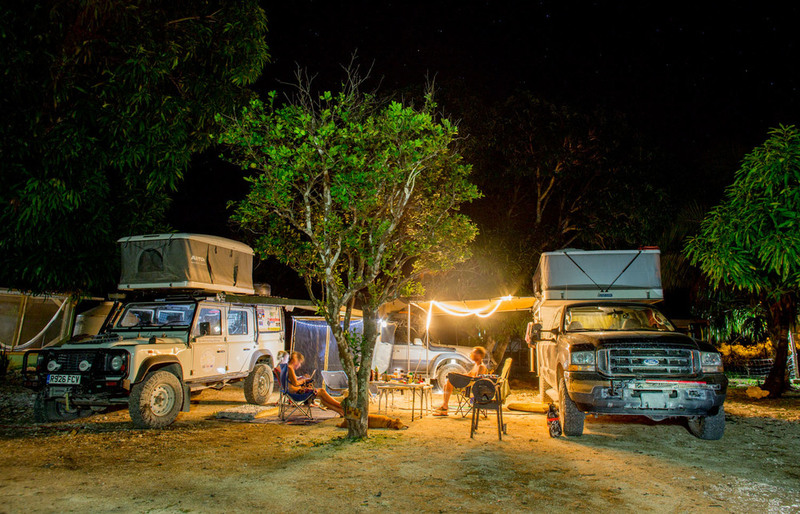 The camping option at Backpacker's Paradise turned out to be way better than our first. It's in a beautiful little spot in the jungle just a few minutes walk to the water and to town. It's got everything we could want in a campground (i.e. bathrooms, showers, electricity, a place to wash dishes, free coconuts and mangos just falling from the sky...), and best of all no creepy late-night visitors and no early morning masturbators. 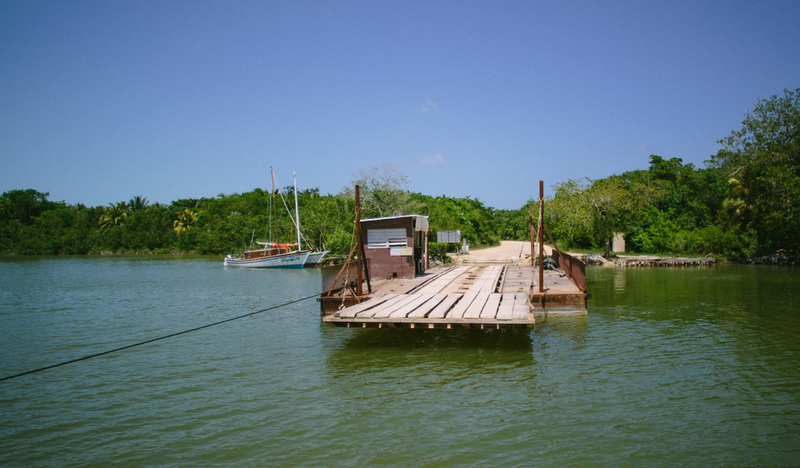 While the ocean here is the same warm blue water you get in the rest of the Caribbean, Belize is not know for beaches. Instead, there's usually docks to hang out on and swim from. So other than the sudden doubling of prices, I think we're really going to like this country.